This was actually the opposite kind of situation that was really happening all over France. 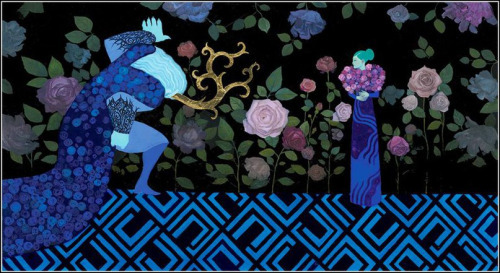 In this story we have a nobleman whose wealth is supplied by magic and therefore cannot run out, who is generous to the poor family of Beauty-a family who you could argue has been chided for being social climbers and encouraged to become simple, hard-working farmers. 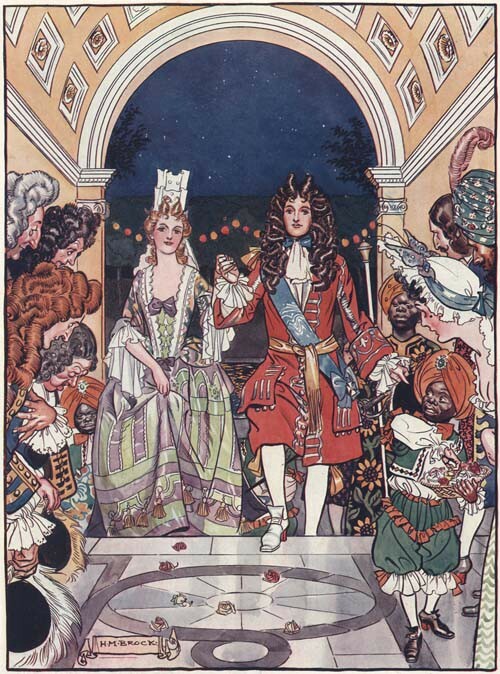 According to Griswold, "In other words, in the midst of changing times, Beaumont seems to offer a kind of backwards-looking endorsement of the nobility, a flattering and conservative portrait of the ancien regime." 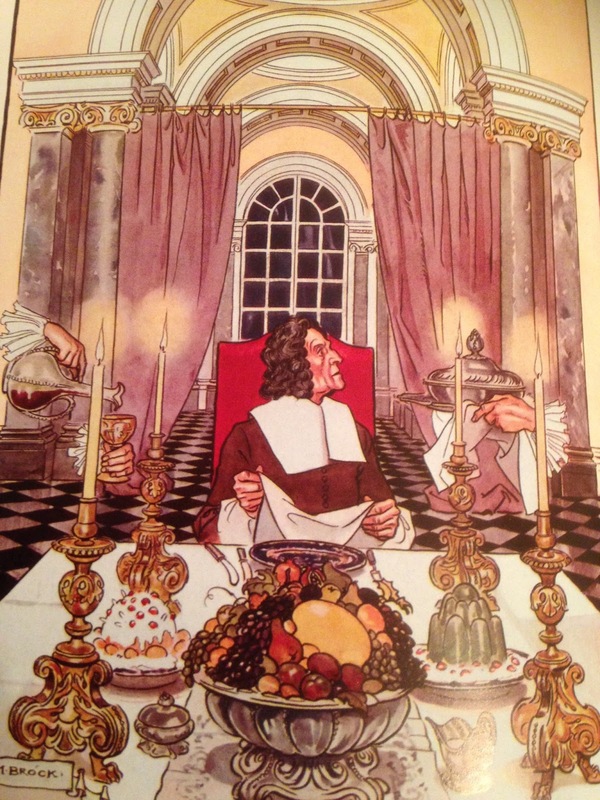 In Zipes' words, the aim of Beaumont is to "put the bourgeoisie in their place." This is where I don't understand why scholars refer only to Beaumont's version. Beaumont did not add anything essential to the tale, she only simplified Villeneuve's. The negative portrayal of the materialistic sisters, the fall in status of the family, were all originally Villeneuve's. 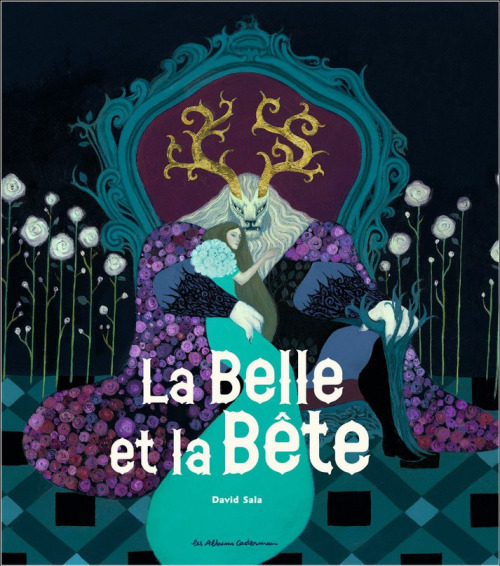 But when I read the Villeneuve version, it seems to me that the message is to clearly poke fun at strict class boundaries, since each of the characters seem to change status in relationship to each other multiple times, and there is a very clear moral near the end where the good fairy is trying to convince the Queen (the Beast's mother) that Beauty is a worthy bride for her son because of her character, NOT her status (before finally unveiling the truth of Beauty's true identity, being a fairy Princess, therefore pacifying the Queen). So ultimately, Villeneuve's original story probably wasn't pushing for the merchant class to go "back to the farm and become once again hardworking and uncomplaining peasants" as Griswold indicates was Beaumont's goal. (Plus, wasn't Beaumont a member of the middle class herself? She ended up as a governess, probably employed by merchant class families-if they all went back to the farm she wouldn't have had a job or the ability to write fairy tales on the side). And of course there's the irony present in many fairy tales that, while Beauty is praised for being content as a hardworking peasant, she is the one who is rewarded with unimaginable wealth and no more need for working for the rest of her life. 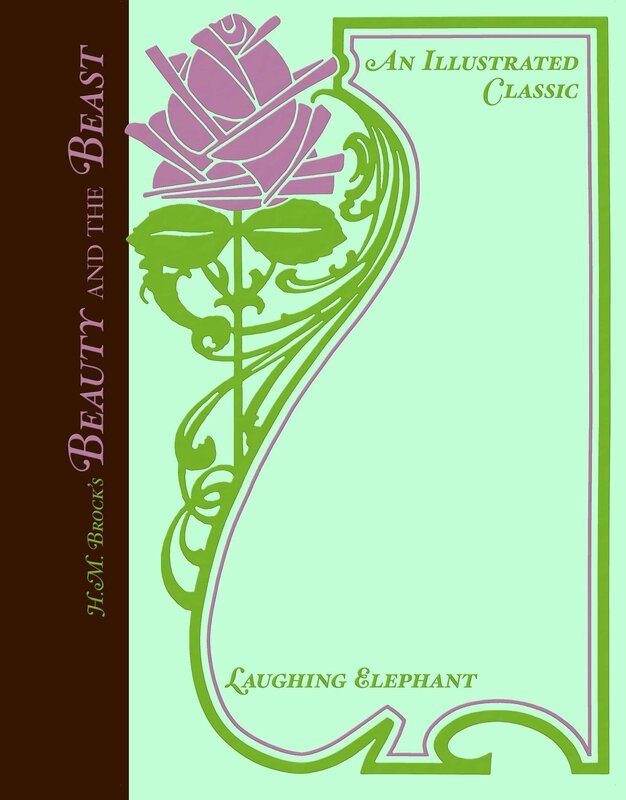 Yet another example where I think the actual events of the tale, mixed with the reader's own natural desires, end up being a much stronger message than the supposed "moral", if that was even what Beaumont was trying to portray. 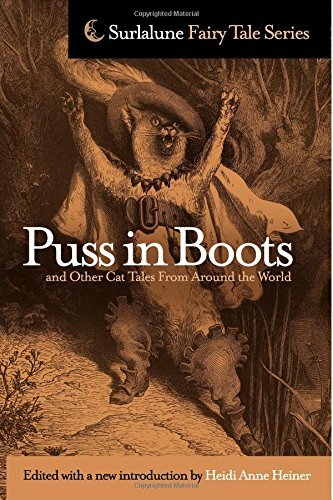 I always get excited when another Surlalune collection comes out, and I was especially excited that Heidi Anne Heiner was kind enough to send me a copy of her Puss in Boots and Other Cat Tales From Around the World! 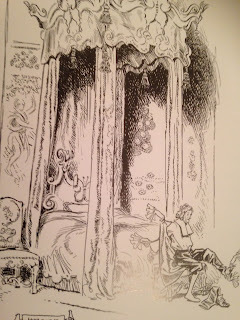 "Puss in Boots" is not a tale I'm especially familiar with-in nearly 7 years of blogging (!!) I've only had three other posts with the tag. 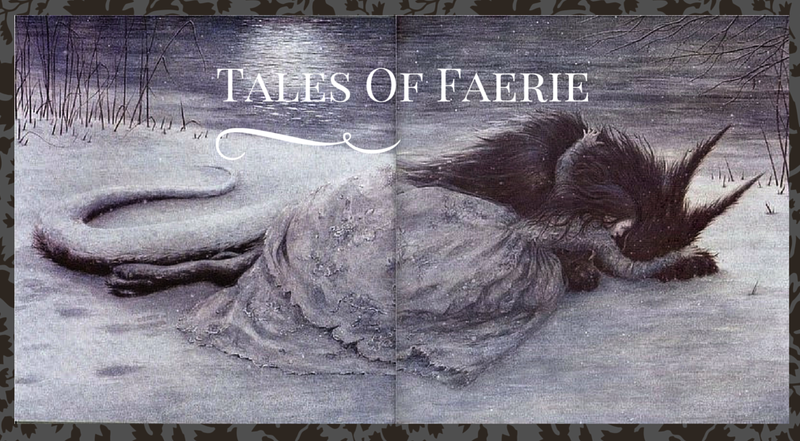 It's not a tale that scholars frequently like to discuss or artists depict, so it's a great opportunity to learn more about this iconic character and story through essays as well as several different versions from folklore! And the unique thing about this collection is that, even if Puss in Boots isn't your favorite, the other cat tales fall into different tale types, such as "Cat Bride," "The Kind and Unkind Girls," "The Magic Ring," and Witches and Cats (that will be fun for Halloween some year!). Surlalune has been posting about each of the categories over on her blog so you can hop over there to learn more. I'm slowly reading about the famous Puss in Boots, but I've also been enjoying reading the tales in the "Bremen Town Musicians" section. When I first spotted the title in my book of Grimm tales, I got excited to read a story about musicians because...I'm a musician! Of course I discovered it really has nothing to do with music, but animals making noise, which initially disappointed me. But over the years I've still had an affection for the tale just because of the name, and after reading more versions I'm really coming to appreciate it! The stories really have a great message about not writing off those who are aged or might otherwise be overlooked/seen as useless by society. The idea of a group of misfits banding together and ending up victorious is a pretty common trope in many of our more modern favorite stories. In some versions, the way the animals scare off the robbers is more intentional, and other times it's accidental. The former way gives the animals more credit to their intelligence, but the latter is often funnier. 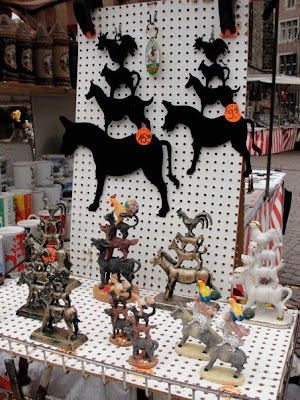 One of my favorites is "The Choristers of St. Gudule," in which the donkey who begins the quest believes he has a magnificent voice and should go join the choir in the Cathedral in Brussels. The other animals, a dog, cat, and rooster, are all known for making noise that is unpleasant for humans to hear but each animal is very proud of. When they see the food the robbers are eating, the donkey suggests that they "serenade them, and perhaps they'll throw us something as a reward. Music, you know, has charms to sooth the savage beast." The irony in the tale makes it stand out as being the funniest (in my opinion). 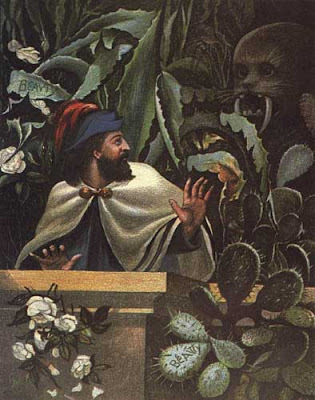 In most of the tales it is robbers that are being scared off, but one of the story notes says that it can sometimes be wolves, therefore making it a story of domestic animals triumphing over wild. But one thing that I find curious these animal is the double standards in animal treatment. 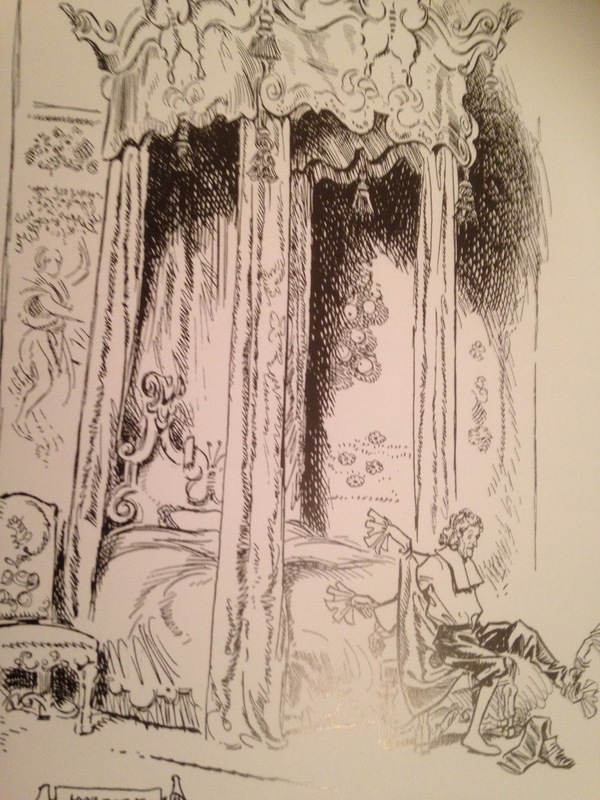 In Puss in Boots, the protagonist is rewarded for doing no more than trusting the cat he was given as his inheritance, which was seen as the worst option. This would appear to have the message that, once again, you shouldn't underestimate that which the world may give the least value to. 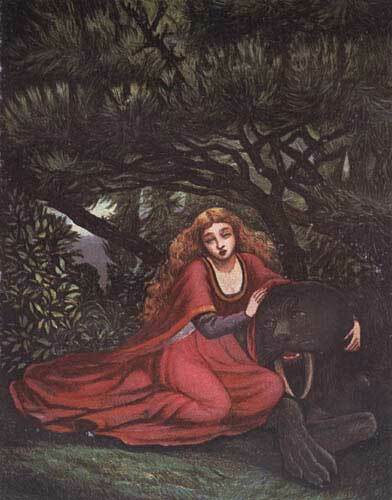 But then the Puss himself keeps going out and killing other animals to present to the King, so not all animal life is given value (maybe...only those that talk, like in Narnia??). 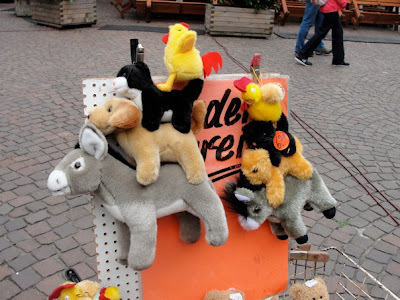 In Bremen Town Musician tales, the old animals who are no longer of use to their masters are the heroes. Yet in the Irish tale "Jack and his Comrades" (sometimes there is a poor boy named Jack in the ragtag group), he asks his mother to kill his rooster for him before he goes out into the world to seek his fortune...only to later save a rooster from a fox that was about to kill him and welcome him into their group! The animals, when they find the robbers, sometimes only see them counting their money, but sometimes see them eating a large meal. Most of the time the food isn't described, but I wonder if those meals would have included meat...in one version from the United States, turkey is listed as one of the delicacies the robbers are eating. This does highlight the irony that many of us experience who aren't vegetarians and yet sympathize with animal stories, especially those in which they're trying to avoid being eaten. According to this study, only 3.2% of Americans are vegetarians, yet who doesn't root for Babe, or Wilbur in "Charlotte's Web"? There is, of course, a divide between reality and fiction, so it's interesting that the characters within these stories tend to have the same inconsistencies, (which tend to go unnoticed by the readers). Happy New Year! Hope you were all able to spend some time with friends and family over the winter holidays! 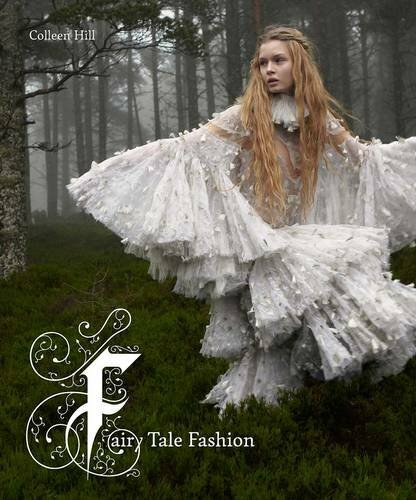 I got a few fairy tale treasures over the last month to share! 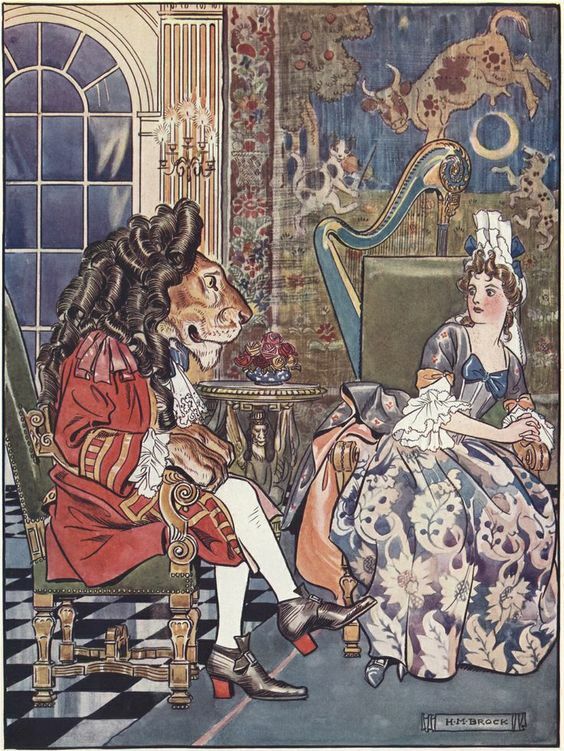 First up, I received another book to add to my Beauty and the Beast collection, H. M. Brock's 1914 illustrated version. The copy I got has an introduction by Jerry Griswold, author of one of my favorite books on BATB. 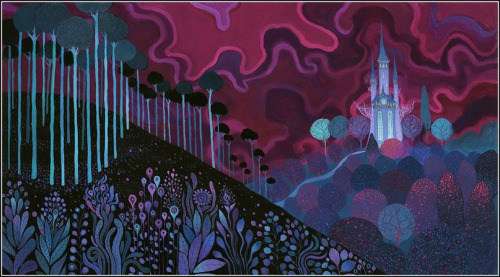 The prose, adapted by an anonymous writer, follows the traditional French fairy tale pretty faithfully, but with a faster pace than either Beaumont or Villeneuve. 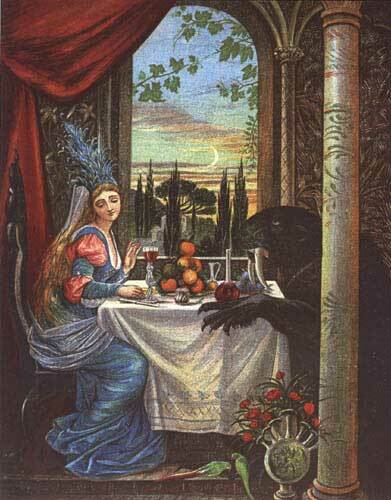 One unique aspect I don't think I've read before was that when Beauty wishes herself back with her family, she uses the magic rose. 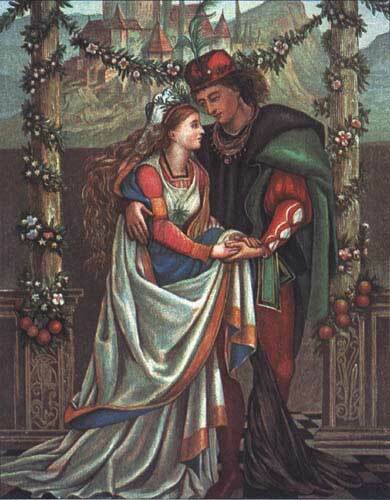 Her sisters try to use the rose for themselves-only as soon as they wish on it, it withers. Beauty is dismayed to find the withered rose on the floor of her sister's room, but as soon as she picks it up, it blooms healthily again. I wasn't familiar with H. M. Brock's illustrations before. They mimic Walter Crane's 1874 illustrations, but as Griswold discusses in the introduction, Brock has his own unique contributions. Brock's emphasis, Griswold says (other than the luxurious, Cowardly-lion like locks of the Beast) is on the enchanted servants. 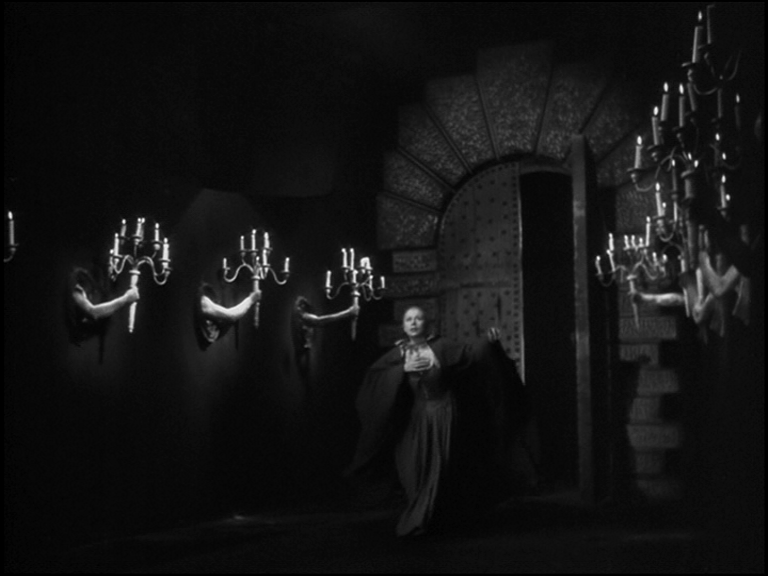 Beauty's father is waited on by disembodied hands that seem to foreshadow Cocteau's row of candelabra sconces that appear to be disembodied human arms. 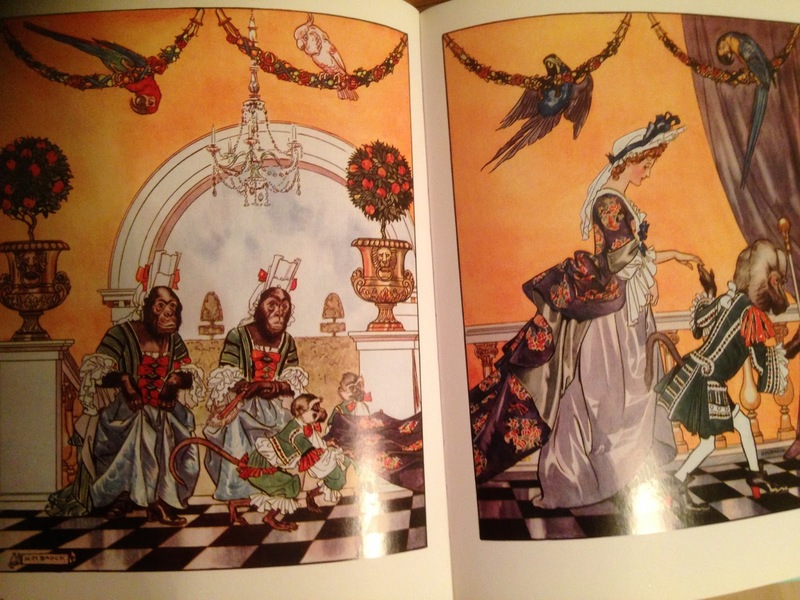 Beauty's servants aren't as creepy; she gets monkey servants like in Crane (and in Villeneuve's "original" story).